By Michael R. Solomon, Gary J. Bamossy, Soren Askegaard et al. 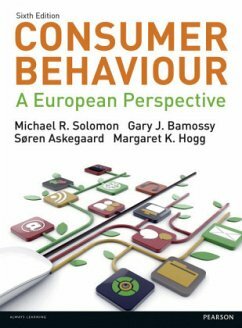 Consumer Behaviour: A European Perspective 6th Edition by Michael R. Solomon, Gary J. Bamossy, Søren T. Askegaard and Margaret K. Hogg Now in its sixth edition, Consumer Behaviour: A European Perspective provides a fully comprehensive, lively and engaging introduction to the behaviour of consumers in Europe and around the world. This text offers a cutting-edge overview of consumer behaviour and is ideal for second and third year undergraduates as well as master's students.